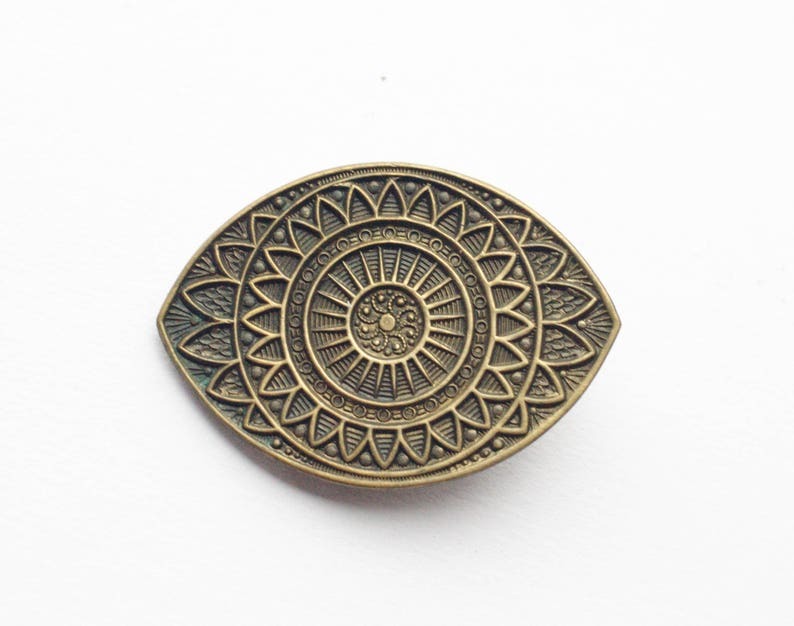 Retro evil eye ornate hair clip. Antiqued solid brass detail has been securely torch soldered, not glued, to the clip. About 1 1/2 inches wide.